On Saturday night in Korea, the StarCraft Proleague season came to an end with an all-time classic matchup. Not between individual players, but between two of the biggest names in Korean eSports: SK Telecom and KT Rolster. It was yet another duel between the McLaren and Ferrari of Korean eSports, a battle between the two teams with the proudest histories and most famous stars. It was the kind of battle that Proleague fans live for, and an ideal ending to what’s turned out to be a terrific season. What’s most remarkable about this finale, however, is that it happened at all. Because just over a year ago, it was an open question as to whether Proleague actually had a future. Proleague practically defined the Brood War-era. While eSports in the West have traditionally been sponsored by hardware and peripheral manufacturers, Korean StarCraft found the support of Korea’s largest companies. But if these huge industrial and telecommunications concerns were going to throw their weight behind StarCraft, they were damned well going to make sure their names stayed on the marquee. This had a number of positive effects on Korean StarCraft. It allowed fans to become invested in teams and players over a long time. That’s something that’s difficult when you follow individual competitions. After all, StarCraft 2 fans love great rivalries, but its rare that two players are at the top long enough to create one. 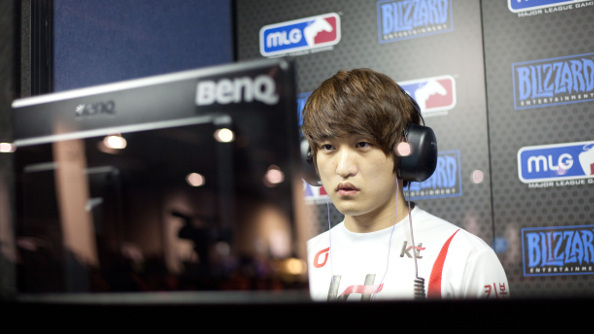 DRG vs. MarineKing, Polt vs. Stephano, Scarlett vs. Bomber…. all gave us legendary moments, but they were also dependent on both players being lucky enough and good enough to keep meeting in major tournaments. Not surprisingly, few StarCraft rivalries endure longer than a few months. But in Proleague, StarCraft’s greatest names can continue to create great moments even as their “solo careers” stagnate. Park “DRG” Soo Ho remained an ace player for the MVP team even though his days as a top tournament player seemed to end. Lee “Flash” Young Ho may not be the titan he was in Brood War, but he’s still a key player for KT Rolster, and they called his name for this latest final. That kind of consistency is important in a sport where players can rise and fall within a period of months or even weeks. It also allowed room for some WWE-style ridiculousness. For years, Proleague was carried by Korea’s foremost eSports broadcaster, OGN. But for a variety of reasons, Korea’s transition to StarCraft 2 as not an easy or painless one. That’s worth an entire article in itself, but the bottom line is that the Korean eSports Association (KeSPA) and OGN were both very hesitant to embrace the new era. That hesitation was all-too-plain during the transition to StarCraft 2. First came the “hybrid” season of 2012, which featured the Solomon-like decision to divide Proleague matches between Brood War and StarCraft 2. Then there was the 2013 season, in which Proleague itself seemed to be in danger of dying. 2013 remains a depressing story of missed opportunities. For one thing, it was unique in that it featured the participation of two of the strongest teams in the US and Europe: Evil Geniuses and Team Liquid, who teamed up to take on Korea’s best and show that Western teams could play at their level. The resulting season was a near-complete disaster. Even some emergency management couldn’t reverse the EG-TL squad’s abysmal fortunes. 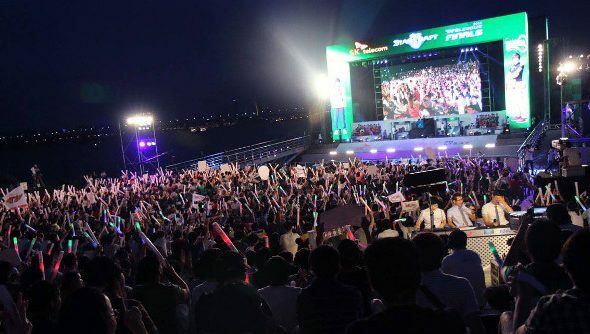 But what was far worse was that many StarCraft 2 fans, who had never really followed Proleague before, had their first encounter with the series at a time when it was a shadow of what it had been in 2009, when it filled a waterfront park. I talked to Victor Goossens, the head of Team Liquid, months later on an unrelated topic when our conversation turned to EG-TL and whether he’d ever consider doing it again. According to him, it wasn’t really the team’s bad results that turned him off the idea. It was the abysmal production. “Proleague in Brood War was pretty much amazing. The best production quality, the Korean casters were amazing, the fans were great, and so I thought that was going to be the case for Proleague in StarCraft 2,” he said. “I thought they were just going to take Proleague and make it StarCraft 2. That wasn’t sour-grapes. It was obvious to anyone who watched the 2013 season that it was one of the worst eSports productions around. The TV studio looked like a rental hall, with flat fluorescent lighting and rows of folding chairs. The elite Proleague players, cream of Korean eSports, looked like they were attending their own parole hearing. 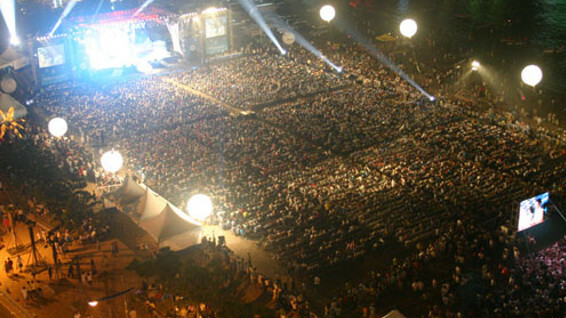 OGN’s indifferent StarCraft production reflected the network’s ambivalence about continuing with its former crown-jewel. Korean eSports were in the middle of a very obvious pivot towards League of Legends, but there was something far deeper at work… Korea’s StarCraft fans didn’t actually like StarCraft 2 that much. This was the great disconnect between the rest of the world and Korea. Even as StarCraft 2 became a breakthrough eSports hit in Europe and the US, converting huge new audiences to competitive gaming, Korea was more skeptical. It was hard to see at the time especially if you were like me, and StarCraft 2 was your introduction to eSports. After all, the best players were still Korean. Korea’s elite StarCraft 2 league, the GSL, had great productions. The significance of KeSPA’s absence from the scene, along with Korea’s multi-billion dollar conglomerates, only started to come into focus when those same organizations showed what they could do when they put their weight behind League of Legends. At a stroke they were producing some of the most best League of Legends events in the world, and fielding the best teams and players. Meanwhile, the original Korean StarCraft 2 teams, run through the eSports Federation, seemed to be struggling just to keep the lights on. Wolf Schröder is a caster for Proleague and GSL. As he explained, “The source of ESF [teams’] problems is often money-related. The KeSPA teams have, and always have, the most money. They are backed by the biggest companies any eSports team has ever been backed by. Imagine AT&T and Verizon. Then imagine a company like Apple, and then an airline. The good news in Korea is that the game’s popularity is on the upswing. I talked to Chris “HuK” Loranger at a Red Bull event in Atlanta recently and he said, “Viewership in Korea, online and in person, it’s getting a lot better. StarCraft 2, when I was in Korea, was worse than it is now. It’s getting better in Korea, and it’s getting worse in the foreign scene. Maybe Koreans are hipsters,” he added with a laugh. Artosis said the said the same thing, and said that even in the GSL, they’d seen a bounce in attendance and interest thanks to the 2014 Proleague season. Schröder thinks some of this is down to the fact that the old KeSPA organizations finally finished their transition to StarCraft 2. There are a lot of great teams in Proleague. CJ Entus, Samsung Galaxy, Jin Air Green Wings… they’ve all got outsized reputations and great rosters. But even they pale next to the Korean T-coms: SK Telecom and KT Rolster. They are two eSports organizations with an almost maniacal dedication to victory. It’s like Red Sox – Yankees. Even when they have off-years, it’s only a matter of time before they come back with a vengeance. There are some important differences between the teams as well. 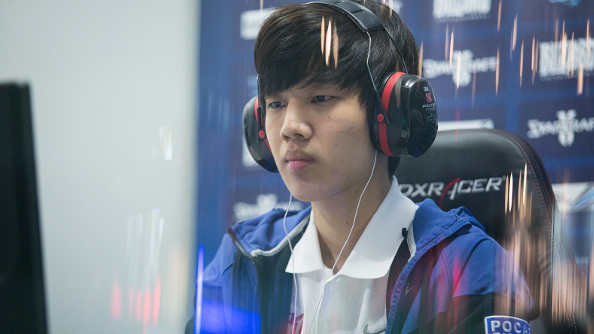 KT’s biggest star is Lee “Flash” Young Ho, a Brood War legend, but overall, KT is built for success in Proleague. Their players are terrific, but don’t have very impressive resumes in individual competitions. SK, on the other hand, collects superstars. Their Zerg players are among the very best in the game, and their Protoss department has the 2012 world champion, Won “PartinG” Lee Sak, Jung “Rain” Yoon Jong (another living legend), and the latest GSL champion, Kim “Classic” Doh Woo. If you judged the two teams by their individual tournament results, they’d almost seem to be in different leagues. But Proleague operates according to its own logic. The strategy in Proleague, then, is a bit like a managing pitching rotations and batting orders in baseball. There is an entire metagame based around the maps, the players on each team, and each team’s likely expectations. That seems to be what happened to heavy-favorite SK Telecom during Saturday’s final. Their lineup of champions seemed to guarantee SK a victory over their old rival, KT Rolster. But KT hit SK with a series of unexpected picks, including a relatively unknown Zerg, Kim “Action” Seong Dae, to take on one of SK’s most promising up-and-coming Zergs. The result was a terrific upset, one that underscored how lineup tactics make Proleague so different from a traditional tournament. KT’s team of skilled underdogs ripped the heart out of SK with early victories over Kim “Soulkey” Min Chul (arguably the best Zerg in modern StarCraft) and PartinG. But perhaps the real story of this last Proleague tournament is that it was the junior players, the ones who’ve yet to prove themselves as solo champions, who rose to the occasion for their teams, while the stars fell short. It was a reminder that in Proleague, it’s not about being the best player overall. It’s about being the best player on a given map against a given opponent. About being able to craft a winning strategy, and discern an opponent’s, before the game ever begins. It’s a fitting end to a year-long campaign. The underdogs won with a team designed and built for Proleague, Korea’s quintessential StarCraft tournament, and the individual stars who have thrived in StarCraft 2 were reminded that, for all their skill and achievements, there is something very different about Proleague. That’s a fortuitous lesson for this latest season to teach, now that Proleague has once again become a premier eSports even in Korea. For a series that so recently looked like the walking dead, Proleague’s recovery is one of the most important and encouraging developments to befall StarCraft since the launch of StarCraft 2.